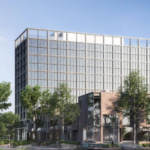 Twelve-hundred new residential units and a variety of commercial and retail offerings are slated for Detroit’s Lafayette Park neighborhood, the Detroit Free Press reports. 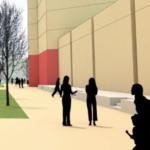 Delivered within five separate projects, the developments will capitalize primarily on the use of vacant land in the neighborhood, but will also require the demolition of a former Quaker school and Shapero Hall, the previous home of Wayne State University’s pharmacy school. 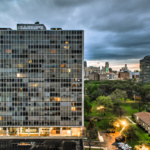 Known for its superblock residential buildings, Lafayette Park is the home of the Lafayette Park National Historic Landmark District, a 78-acre complex anchored by the work of Ludwig Mies van der Rohe and landscape architect Alfred Caldwell, lead by Chicago developer Harold Greenwald and planner Ludwig Hilberseimer. 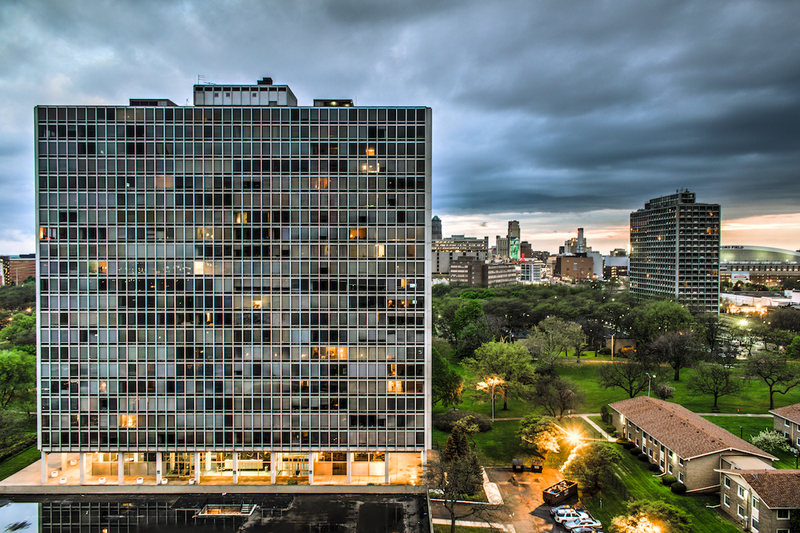 Completed in 1967, the three high-rise towers, twenty-one low-rise townhouses, elementary school and retail block represented a new approach in midcentury American architecture, one that used residential density to leverage open space. 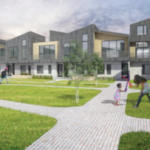 The site was anchored by the 13-acre Lafayette Plaisance as well as a number of semi-private and private outdoor spaces for residents. Open space in the neighborhood was increased in 2009 when a below-grade rail line on the east side of Lafayette Park was transformed into a linear greenway. The original Dequindre Cut’s 1.2 miles were augmented in 2016 with an additional half mile. 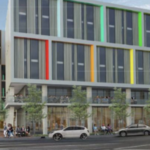 Each of the five projects are spearheaded by a separate development company and projected to fit alongside the existing built fabric of the neighborhood. Following an overall trend in new residential construction in Detroit, over half of the proposed units are studios or one-bedroom apartments. 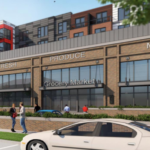 While the projects are currently in varying stages of design, three out of the five are projected to be mixed-use, with one including a small-format Meijer grocery store, the third of its kind in Detroit. 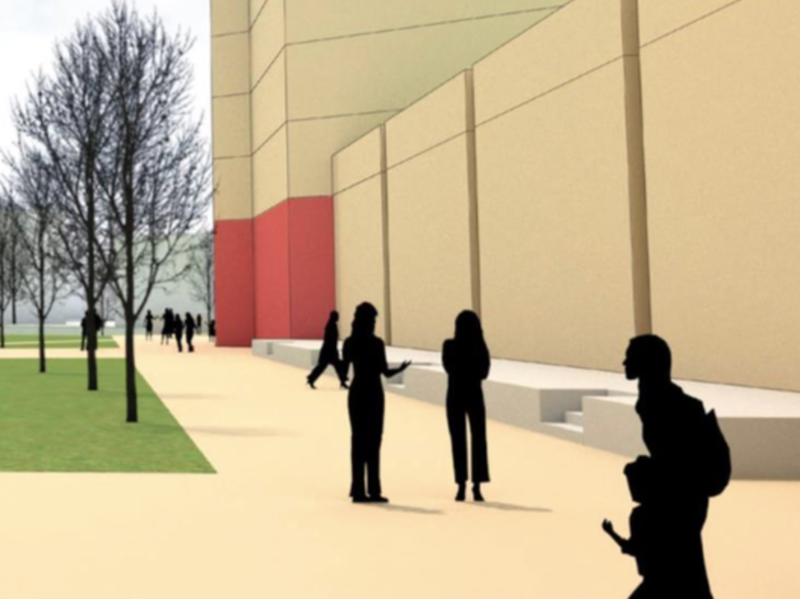 The first of the five projects, Pullman Parc, will break ground in late 2018. 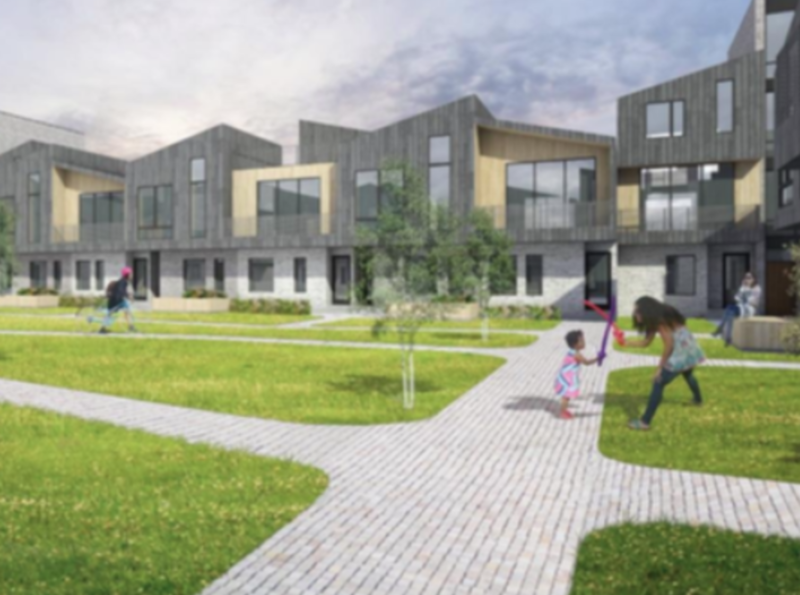 Other developments include Above the Cut, a 160 to 180 unit residential building with flexible commercial space along the Dequindre Cut, with approximately 35 units slated to be affordable housing. 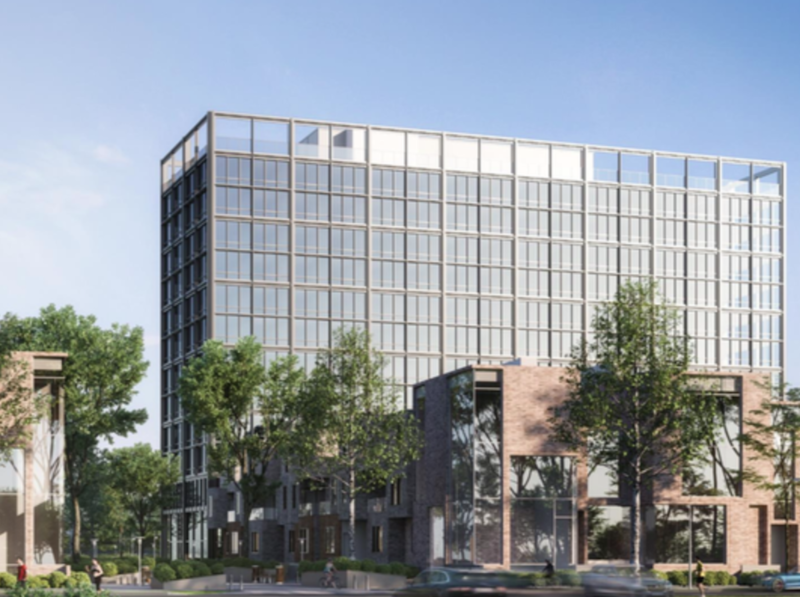 A mixed-use development connecting Lafayette Park to neighboring Eastern Market will offer multiple blocks of residential and retail space. 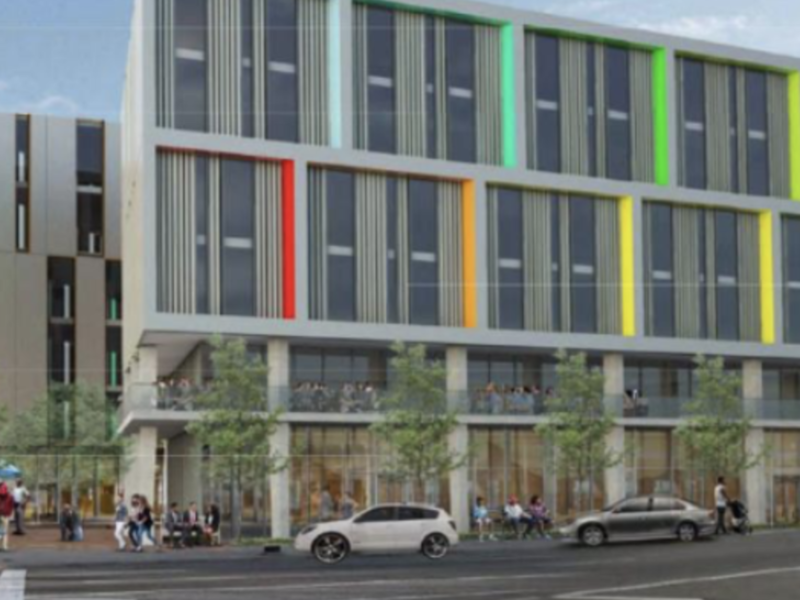 A new superblock development, Lafayette West, will offer 374 residential units. 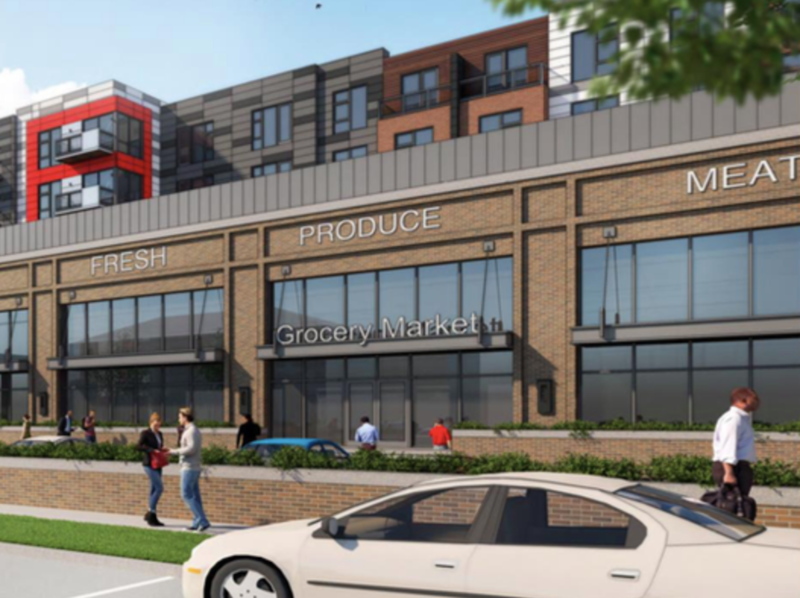 The Meijer store is a component of a plan to deliver a total of 213 residential units.